With US open finals today, the last grand slam of the year 2015 is coming to an end. 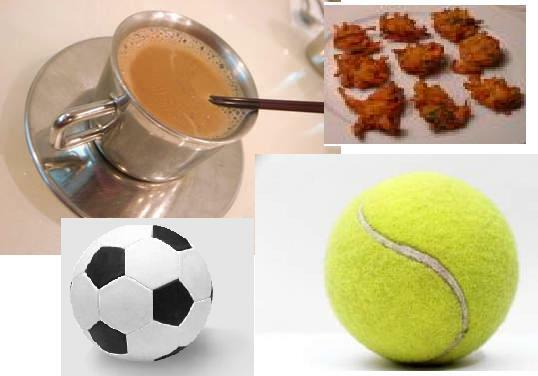 I always enjoyed watching sports, be it Tennis, badminton or football. This is the reason, world cup soccer or olympics were almost like a festival at home. We used to have the meals ready before the matches. We used to wait for days before the opening ceremony. As a school girl I used to complete all my homework beforehand so that I could watch the opening ceremony. We used to watch the opening ceremonies live irrespective of the timezone they were held in. The effects used to be visible next day in school. Me(just after returing from office): Hi Baba, how was your day? Me: What happened? Are you all right? Baba: Serena Williams lost in the semi final. During English Premier league if he was exceptionally silent on any morning, it simply meant his favourite team Arsenal didn’t do well. Even in front of Telivision he was as excited as if he was sitting live in the stadium. The kitchen would be ready with milk and biscuits. He would prepare tea or coffee during half time of soccer or commercial breaks. It used to be monsoon during US open and he used to get hot bhajias (onion fries). Watching any game with him used to be an ultimate sporting experience. Looking back that used be an amazing way of spending quality time with each other. Sports brings us togather and motivates us towards a fit life. As a school girl I used to be able to identify many flags with the country names after the opening ceremonies. It also encourages kids to go out and enjoy the weather even in this era of all the digital entertainment. But this enthusiasm for sports would not have been there in us without my father’s encouragement. Thanks baba for inculcating a nice hobby.